We talk a lot about independents, artists, movers and shakers here at BabMag HQ; we pride ourselves on discussing individuality and the people who move Birmingham forward and place it on the cultural map. However, we cannot ignore the big changes in Birmingham that are taking place HS2, total city redevelopment, the removal of the old library to be replaced with corporate offices, Starbucks and suits. 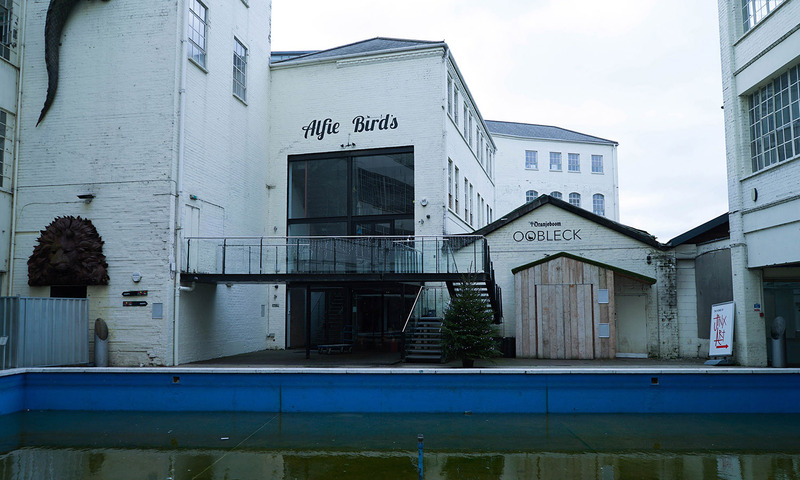 We are situated next to the Custard Factory, a once thriving cultural hub, a space we still hope to see flourish as other centres do in big cities such as London, Bristol and Manchester. The Custard Factory regularly played host to weekly events, art markets, vintage sales, record fairs with Mods chilling on a Saturday and the skateboarders thrashing on a half-pipe on a Sunday. If people don’t think gentrification has come to Birmingham yet, they are wrong; it’s encroaching on this once safe space. 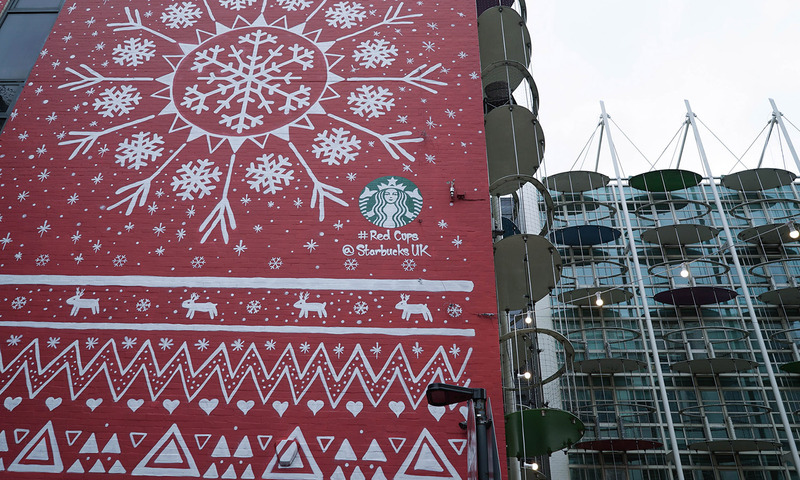 Sadly a 70ft mural advertising the corporate juggernauts Starbucks now adorns the walls, yet it’s impossible to find a plaque or website link listing the current shops. The latest loss to this area is the Bench504 which seems horribly short-sighted; how can a space that houses a graffiti/street art festival be so against the culture that is ingrained in the area? They say that most small businesses will fail in their first year of business and that they can forget about profit for a few years if they do make it, so why demonise these businesses further by providing minimal marketing support and hiked rents in favour of corporate giants. Money rules the world for sure but we will sorely miss what has gone. When you think of the amount of businesses that have come and go in the last few years at the Custard Factory, it really is heartbreaking, especially when you can see the potential, but don’t see the support. Unfortunately, it seems like compassion and empathy for small businesses has been left behind for corporate rent and brands. We have seen this everywhere across the UK, it’s no real surprise, however when it comes knocking on our yard it’s important to fight for the culture that we have. We can’t boycott the place as the few shops that are left still need that thin slice of footfall to pay the bills, and truth be told, we all deep down love the place and what it could be, the potential this sleeping giant has is huge. We need to keep supporting small businesses, attend events, make a noise, keep creating and keep striving because without our identity what do we have? We asked owners, father and son Bennie and Lucan (who are currently in a legal battle against each other) for comment, but both declined, so we went to some previous tenants to get their views. 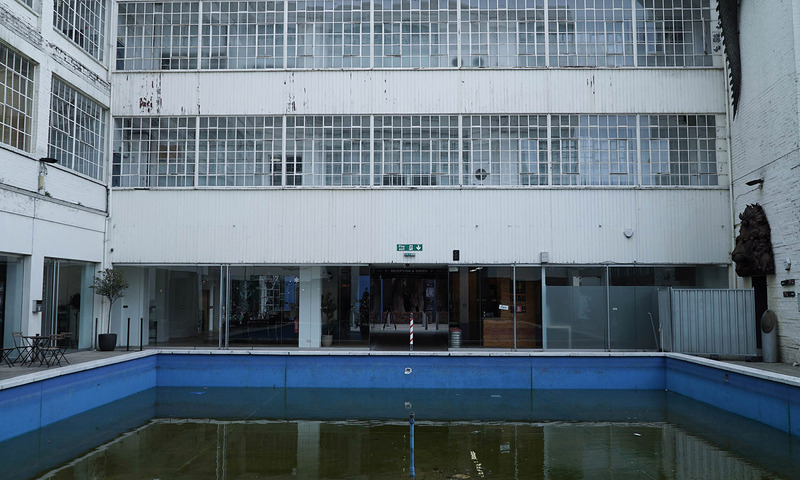 ‘For the tenants or future tenants, it’s the constant lies as to the investment that is going to be taking place within the Custard Factory. When we were in talks before opening up Alfie Bird’s we were won over by the future plans which were to include weekly large scale events in the main warehouse next door to where Alfie’s was situated, these events were going to include art and car auctions, exhibitions and art installations on a regular basis. None of these events ever materialised, on occasion, we got a “vintage clothes” sale and that’s about it. When you build a business model around what you are told is going to be a high footfall area only to find out once it’s too late that this will not be the case it hits your business hard. There is a culture of telling prospective tenants whatever they want to hear in order to get them to sign on the dotted line. For example, we were told on numerous occasions that we would be allowed to drain the pool to put on live music gigs, another focal point of our business plan. The second we signed our lease it was then made very clear to us that this would not be allowed under any circumstances. ‘Over almost 10 years at the Custard Factory I’ve seen a mass amount of businesses come and go, some literally closed weeks after opening. The Custard Factory always promised weekly events too to get the area up to scratch, if an event materialised once a year, we were lucky. The events that were put on were organised by the tenants themselves, for me, one of the main causes was the constant turnaround of management. Every time you felt like they were going somewhere they would be replaced by someone with a whole bunch of new ideas with none of them ever being more than another empty promise. 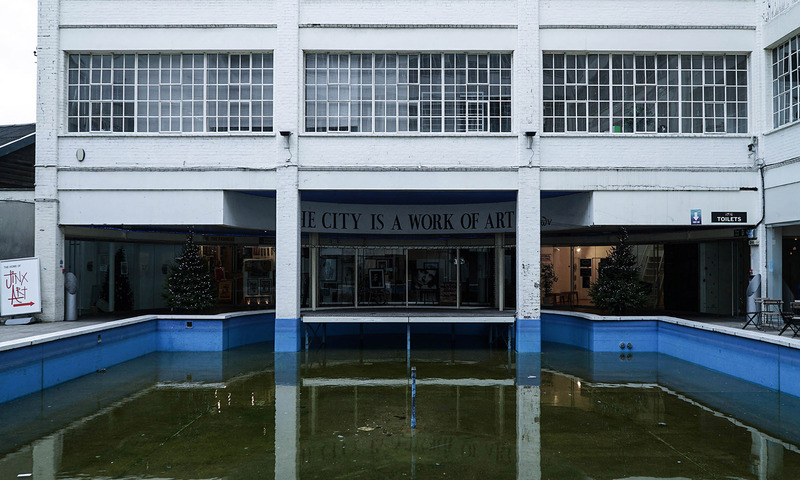 Zellig was an absolute waste of money that doubled the size of the Custard Factory but they put no effort into advertising the available spaces so they also remained empty for months at a time. The pool more often than not looked like a swamp. The best things that happened to the place while I was there was Alfie Birds but it received no help from the Custard Factory and now lies empty. RIP Mr Birds, RIP Urban Village, RIP Alfie Birds, RIP UTOPIA store, RIP The Bench504 RIP Milque and Muhle, RIP The Green House, RIP Retro World, RIP all the other shops that have closed its doors for good or been forced to relocate. To the shops that remain, we salute you.